Just curious, why would someone hire a PI, pay $1,000.00 (maybe more) to obtain a document that is a public record and has been there since 1964? Fee for this probably what? $20.00. Also, the news report stated that they were able to find the Dunham/Obama divorce decree but the Dunham-Obama/Soetoro divorce decree could not be found (scrubbed), yet, it was posted here on line what? about a couple of weeks ago? Can't believe whoever got the first one, could not have gotten the 2nd one at the same time. And, in the Dunham-Obama/Soetoro divorce decree, the place of birth for the children is not listed? Why would the Indonesian school registration list Honolulu as where Obama was born yet divorce decree list Kenya? Doesn't make any sense. I seriously doubt if Stanley Ann Dunham was trying to "conspire to hide" anything when Obama was a child. This character purports to be astounded that one thousand dollars was spent on some public record that has been available since 1964 for twenty dollars. Actually, one thousand dollars is nothing. At this point, the legal fees spent by Obama to hide his past are probably up in the many hundreds of thousands of dollars. And the value of the volunteer labor and pro-bono legal work by those questioning Obama amounts to probably even more. There have been at least 4 major full page newspaper advertisements that have cost many tens of thousands of dollars. There have been tens of thousands of dollars of FEDEX charges and thousands upon thousands of certified mail expenses and regular postal expenses. A lot of money has been spent. Because Obama has steadily refused, for many months now, to produce a 10 dollar document. In addition, one thousand dollars to get ahold of a potentially important document in a far-off place like Hawaii is not exhorbitant. There have been assorted reports that not all of these supposedly easily obtainable public documents are so easy to find. Were they "scrubbed"? Or are these just examples of an incompetent bureaucracy? This o-bot seems to think that there are no mistakes on official documents and that we can trust all documents that purport to be official records. This o-bot seems to believe that it is impossible for anyone to perpetrate fraud when filling out official paperwork. Including a handwritten document from a Third World country over 3 decades old, in a foreign language. Of course, the o-bot would discount the recorded interview with the Kenyan paternal grandmother as being unrealible, since that is from the Third World. And the o-bot would discount the statements of the Kenyan Ambassador to the United States since this Ambassador comes from the Third World. And yet this o-bot wants us to believe that the school registration from Indonesia is completely reliable ? (only the Honolulu birth location, not the Muslim religion or the Indonesian citizenship, of course) A bit of a double standard. And again, an anonymous o-bot cherry picking the evidence to find only material that supports the new "Messiah". (1) It could have been a mistake or the result of a misunderstanding. After all, Obama had been living in Honolulu, or might have been, before going to Indonesia. This is not particularly clear. The school official or Leo Soetoro might have just assumed it was true. After all this was not a super important document; just a school registration. (2) Stanley Ann Dunham registered the foreign births of her other two children in Hawaii, possibly to give them access to the rights and privileges of American citizenship or a connection with the US if they wanted it later. Why not Obama as well? After all, Dunham expressed disdain for the US, as did her parents, but still maintained a connection with the US when it was to her advantage, such as working for US foundations. This is not uncommon among those who style themselves as "radicals and revolutionaries". They work to attack the system, while still taking advantage of what the system has to offer. Anyone familiar with William Ayers? (3) Perhaps Dunham was "hedging her bets" a bit. After all, did she want to burn her bridges with the US, where she had been raised and her parents lived ? She had no problem with abandoning Obama at a young vulnerable age and leaving him with his grandparents to raise. This was clearly far easier to do if Obama had some connection with the US. Maybe she had thought about this in the back of her mind for a while as a possibility. (4) Perhaps Dunham did not want to go into a big long drawn-out discussion with a school official about being married to a Kenyan student when she was underage and giving birth in a foreign land and being upset with Islamic practices in that foreign land. Particularly if that school official was Muslim, like most school officials in Indonesia probably were and probably are. (5) Parents want to give their children every advantage. And they will often go to great extents to give them any potential advantage, including moving to foreign countries or even telling a white lie or two. Some parents will work two or three jobs to give their children advantages they did not have, like access to a college education. Some parents will turn into essentially chauffers, shuttling their children around to soccer practice, ballet, music lessons, club meetings, etc, completely abandoning any private lives they had for their children. And US citizenship or a connection with the US is perceived to be an advantage. How else does one explain "birth tourism" even, from advanced places like Korea? Is it so hard to believe that Stanley Ann Dunham, who seemed to have a sort of disdain for US rules but still expected to be able to exploit it, would try to retain any potential advantages a connection with the US might offer for her son? After all, Dunham did it for her other two foreign-born children. (6) Perhaps Dunham had to present some sort of birth documents to the school in Indonesia. And explain why this purportedly Indonesian citizen (who would not be allowed to attend school unless he was an Indonesian citizen, under Indonesian law at that time; recall that he did not begin school until the age of 7 and a half, which is a bit old for a purportedly brilliant student) did not look particularly Indonesian. Is it so hard to believe that Dunham might have presented a Hawaiian Certification of Live Birth that showed that Obama was born in Honolulu, which she might have obtained easily to retain some sort of advantage for her son? She did this for her other two foreign-born children, after all. And is it that hard to believe that this document might show an incorrect birthplace for young Obama, since the attestation of only one relative was required at the time to obtain a Hawaiian COLB? Or that there was some fancy paperwork done at the Hawaiian Health Department associated with Obama's foreign birth to give him a COLB that had a Honolulu birth location? Which shows up on the long form vault copy, but not on the short form COLB? Hawaiian law allows these birth records to be changed retroactively in a number of circumstances. And the Hawaiian law on birth records was particularly lax, clearly. So is it too hard to imagine that Dunham might have taken advantage of this? Particularly to give an advantage to her child, when she did it for two later foreign-born children as well? Why is that so hard to believe? (7) There are advantages to having multiple passports and associations with different jurisdictions. For example, Obama might have exploited his Indonesian connection to travel to Pakistan on an Indonesian passport. Might Dunham have wanted to develop and retain these connections with different countries for any potential advantages they offered, for herself and her children? Of course, this is all just speculation. But I think someone who cannot imagine why Obama's school registration in Indonesia should list his birth location as "Honolulu" if Obama was not born in Honolulu is not using their imagination. And is also willfully ignoring Obama's refusal to verify his Hawaiian birth with a long form birth certificate containing corroborating evidence. I will point out that if we can trust all official records, then why are there 15-30 million illegal aliens in the US with forged papers? Can we trust the documents they present as their "official records"? What about the 911 hijackers that used forged documents? Could we trust the documents they presented as their "official records"? In this sort of situation, we need corroborating evidence. Just like that Russian proverb that Ronald Reagan quoted, "trust, but verify". Obama has given us reason enough to want to verify. So we are asking to be allowed to verify. That is all. Why should that upset you so much, little o-bot? Do you think if you tried this trick on the next policeman that pulls you over and asks for your license and registration that it would work? What if the policeman saw you shoving something under the seat as he approached. Do you think that would raise suspicions? You know, in many jurisdictions, if the police see you acting suspiciously, they are allowed to search your car; to investigate further. Obama is acting suspiciously so we would like to investigate further. Do you have a problem with that? And if you do, why is that? "Robert, One more thing. On the first two docs you provided to support the Soetoro thing, you might want to notice that on both docs, the Place of Birth stated is Honolulu. Seems to me this contradicts the whole "wasn't born in Hawaii theory", wouldn't it? Also, how old was Obama when this doc was filled out? Did Obama fill it out? Who filled out this doc? One of my parents is a Baptist and the other is a Catholic. Depending on which parent/guardian filled out one of my docs as a child would determine my Religion. If my Mom filled it out, it would state Baptist. If my Dad filled it out, it would state Catholic. I had no choice in the matter as a minor child." This O-bot seems to want to bring up the religious aspect, doesnt he? 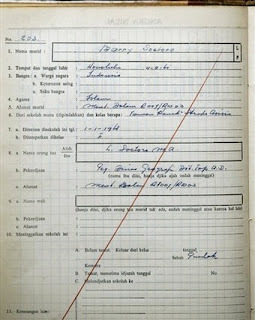 It is true that these forms seem to suggest that Obama was registered in school in Indonesia as a Muslim. Again, this is a typical O-bot effort to distract from the issue at hand. No one has claimed that it is illegal to have a Muslim president of the US, have they? Also, this form was filled out by a minor child's parents probably, or maybe by a school official. And yes the birthplace on this form is listed as "Honolulu". So the O-bot wants to DISBELIEVE this form when it says Obama is an Indonesian Citizen and DISBELIEVE this form when it says Obama is a Muslim, and DISBELIEVE this form when it says Obama's name was Barry Soetoro, but BELIEVE this form when it says Obama was born in Honolulu. Notice how the O-bot likes to cherry-pick the information? According to the O-bot, the only valid information is information that makes the "Messiah" look good. We have no idea how valid this form is. Maybe Obama did not go by the name Barry Soetoro as a child, although this has been confirmed by people that knew him in Indonesia, so that seems unlikely. Maybe Obama was born in Honolulu, but then if he was and his original long form certificate shows it, why has Obama fought efforts to get him to release that information? You see, dear Anonymous O-bots, when it comes to trying to decide what information in this entire affair we can trust and what we cannot, one has to consider all the evidence as a whole, and look to see what evidence is corroborated and what is contradicted by other evidence and by common sense. Playing the game the O-bot way, the only allowable evidence is evidence that supports the Messiah. Period. All other evidence must be discarded. Reverend James David Manning has called for people to join a letter writing campaign to the Chief Justice Roberts of the US Supreme Court in this video. Manning is asking that twenty million letters be sent. I have had a short glimpse at a long-running email battle between an Orly fan known as "BobJen" and "John", who purports to be a lawyer. John writes long long emails to BobJen, arguing that there is no question that Barack Obama is eligible to assume the Presidency and that this entire controversy about his eligiblity is silly. I performed research to respond to the question: Why doesn't Barack Obama release his "original birth certificate?" The answer is: he doesn't have to. Why? Because the birth record that he obtained and posted on the campaign website, entitled Certification of Live Birth, is competent evidence, admissible in the courts of the United States as a valid public record for the truth of the information contained in the document, which includes the date and place of birth. 2. Federal Rule of Evidence 902 provides that such a record is self-authenticating if it bears the seal of any state or agency of a state and a signature purporting to be an attestation or an execution. The record is also self -authenticating if it has the signature of an officer or employee of a state or agency thereof if the officer certifies that the signer has the official capacity and the signature is genuine. The copy of the birth record ("Certification of Live Birth") on the Fact Check.org website contains the seal of Hawaii and the attestation of Alvin T. Onaka stating "I certify this is a true copy or abstract of the record on file at the Hawaii State Department of Health." (Copy of FactCheck.org posting is attached; See also PoliticFact.org posting, copy attached: these are non-partisan organizations and not the Obama campaign). This is sufficient to authenticate the document under the Federal Rules of Evidence. Further, Hawaii Revised Statutes section 338-19 states that the department of health is authorized to prepare typewritten, photostatic or microphotographic copies of any records an fies in its office and such copies shall be competent evidence in all courts of the State with like force and effect as the original. 1. I have seen references to the requirements of the Hawaiian Homelands Program. The form for applying for that program says that an applicant should use a complete Certificate of Live Birth rather than a Certification of Live Birth. Why? Because to participate in that program you have to prove more than you were born in the State of Hawaii. You have to prove that you are a native Hawaiian defined as "any descendant of not less than one-half part of the blood of the races inhabiting the Hawaiian Islands previous to 1778" This is not a requirement for the Presidency of the United States or to be a natural born citizen. It is a special requirement where one needs to provide his/hergenealogy. (Copy attached). 4. There is no evidence whatsoever that his mother ever even travelled to Africa. 5. When one applies for a birth record, there is no distinction between a Certificate of Live Birth and a Certification of Live Birth (See Instructions and Form for "Request for Certified Copy of Birth Record" attached). (By the way, you are a friend but if you were a client, this research would cost a lot of money). 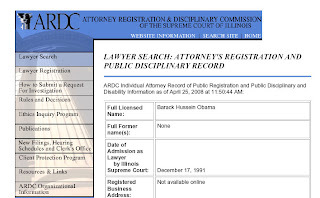 On the use of names issue, I saw copies of Obama's drivers license, marriage license and Illinois State Bar registration record (like the one you sent me for Michelle Obama) on a website. In each of them he uses the name, Barack H. Obama or Barack Hussein Obama. Where did he use other names? The COLB presented purports to be prima facie evidence that Obama was born in Hawaii, but unfortunately, there is contradictory evidence that makes one question the authenticity of this COLB . John claims that Onaka has signed the presented COLB and affirmed that it is accurate. So if Onaka did this, and Onaka stands by that, why did the press release made by Onaka's organization not confirm this? Seems like an obvious thing to do, since that is what everyone is asking for. Over and over. And not just informally, but in court proceedings. In multiple legal venues. If Onaka had confirmed that Obama's presented COLB showing that Obama was born in Hawaii was a true likeness and all information on this COLB was consistent with the long form original certificate on file with the Hawaii Health Department, probably 99 percent of this controversy would have evaporated. Instead, this press release raised even more questions because of what it did not state, and what Onaka and others at the Hawaiian Health Department have declined or refused to state. John does bring up the argument that the COLB is not even good enough to participate in many Hawaiian government programs. If that is correct, which it appears to be, why should the COLB be accepted to show eligibility for the presidency? I certainly know a COLB would not get you a US government clearance, for example. Obama is being hired to work for us, the citizens of this country. And as his employers, if we want to see that Obama is eligible for the job, then Obama should show us what we need to make sure we are comfortable that he is eligible and meets the requirements. It is that simple. Several courts have issued subpoenas on the basis that the COLB is inadequate to show that Barack Obama was born in Hawaii. So this "email lawyer" knows more than those judges? The problem is, Obama can refuse to show his long form copy all he wants. And Obama might even get away with it with Congress and with SCOTUS and other courts. But Obama is losing in the court of public opinion. And that is the most important court for Obama to be concerned about, since Obama is a politician. At least one state is instituting new rules requiring that all candidates on the ballot be vetted properly and requiring that all candidates show that they are eligible to participate (a little belated but perfectly reasonable for them to request this). If Obama continues to be unwilling to show his documents, then Obama will not get a second 4 year term. Obama might not even make it all the way through his first 4 year term if things turn against him badly enough. And Obama will have to deal with what has happened to his public image in the meantime. And for a politician, his public image is the most precious resource he has. Already there are signs Obama's public image is badly tarnished . And I predict it will get worse. On this eligibility issue, if Obama is eligible, Obama is causing himself and the country problems unnecessarily if what Obama and "John" allege is correct. Why would Obama do that? I had an email exchange with Jon Yoshimura, who works for Senator Akaka of Hawaii. If you want me to take you seriously, you must stop mistating/ignoring the facts. You said: "In Senate Resolution 511 unanimously adopted earlier this year, the Senate affirmed that to be a natural born citizen, one must be the child of two American citizen parents." This is simply incorrect. S.Res. 511, ironically, cosponsored by then-Senator Obama, acknowledges Sen. John McCain's eligibility to run for President as a "natural born Citizen. " It confirms that Sen. McCain was born to "American citizens on an American military base in the Panama Canal Zone," but creates no requirement that in order to be a natural born citizen your parents must both be American citizens. You also point to a survey on AOL that suggests that a majority of Americans think that the President-elect's eligibility is in question. Besides the fact that this survey is not being conducted in a scientific manner according to accepted polling guidelines, I believe that most Americans believe otherwise and have already come to the correct conclusion that Obama is a natural born citizen. Thus, the only ones responding to the survey are those who are being led to it by individuals and organizations who want to keep the issue on life support. For example, although I am somewhat well read, this is the first I heard of the survey and I wouldn't have come accross it without your prompting. Please stop this deliberate campaign of misinformation which preys on the ignorance of those without access to legitimate information...or...if you wish...continue to waste your time. Anyway, I mean you no ill-will. Thank you for writing me and I hope you find time to have a happy holidays! Well Mr. Yoshimura, perhaps you are correct. I just wonder why President-elect Obama would rather spend considerable sums of money in court, rather than produce the documents that would settle this matter. He is creating ill will and suspicions unnecessarily and might take office with a dark cloud over his administration. There is no good reason to do this. I agree. He should put this matter to rest. And therein lies the crux of the matter; the lynchpin. It is not that the AOL informal survey is so compelling or that Senate Resolution 511 contains earth-shattering revelations. It is not that the paternal Grandmother's account is so convincing and her story might not be the result of mis-translation, or confusion, or faulty memory, or senility, or any number of other potential explanations. It is not that the reports of the forensic document experts are completely damning. It is not that the apparent inconsistencies on Obama's Selective Service Registration form could not be explained away. It is not that there might not be some reasonable justification for Obama not releasing his college and law school records. And so on and so forth. When Berg called Obama's bluff, Obama did not resolve the controversy quickly and cheaply and easily. And when others have piled on, and things have become even more suspicious, with more lawsuits, Obama has not made all these challenges go away, which Obama could very easily if what Obama has maintained all along is correct. The tone of the discussion has become more strident. The amount of speculation has increased. The rumors have spread further and further. And all because Obama did not take all the air out of this months ago. You have to ask yourself, why? I have noticed in these discussions and debates on the Obama eligibility controversy, that there is a huge amount of confusion about the different terms and their definitions; that is, "natural born US citizen" is not the same as a "US citizen" which is not the same as a "naturalized US citizen" which is not the same as a "US citizen immediately at birth" which is not the same as a "US national" which is not the same as a "native born US citizen" which is not the same as a "US person", etc. People get these terms all confused, and then get into huge arguments because they are confused and have not obtained the correct definitions beforehand. Many claim that the SCOTUS case U.S. V. WONG KIM ARK, 169 U.S. 649 (1898) demonstrates that Obama is a "natural born citizen". The argument is that since Wong Kim Ark was born in the US to non-US parents, SCOTUS declared him to be a "native born citizen". However, SCOTUS did not declare Wong Kim Ark to be a "natural born citizen". The entire point boils down to the question, is a "native born citizen" a "natural born citizen" or not? Many just want to sweep any potential distinction away and under the rug. However, this might not be appropriate. With less than a month before Barack Obama's inauguration, a New Castle man says he's not so sure the president-elect is eligible for the position. Steve Ankeny of New Castle and Bill Kruse of Roselawn have filed a lawsuit challenging Obama's status as a natural-born citizen of the United States. It also states that Obama wasn't eligible to be a presidential candidate be-cause he was a sitting U.S. senator. The suit was filed in Marion Superior Court and names Gov. Mitch Daniels as well as the Democratic and Republican national committees as defendants. Ankeny, a self-employed legal researcher, said he isn't taking a political stance with the lawsuit. All he's asking is that proper evidence be provided to certify that Obama, or any candidate, is eligible according to the Constitution, he said. 'It's not that we want to overturn the election of Barack Obama,' he said. 'It's that we want the laws, starting with the Constitution, to be upheld.'" Read more. I have been diligently collecting responses to inquiries about the Obama Eligibility Controversy from members of both the House and the Senate and placing them on a web page for inspection. So far I have responses from 8 senators and 3 congressmembers. Clearly they are playing their constituents for fools. For example, if you look at Senate Resolution 511, unanimously adopted by the Senate on April 30, 2008, the Senate suggests that a citizen with two US citizen parents is a "natural born citizen". Interesting how none of these responses mention Senate Resolution 511 or any of the legal analyses by Harvard Professor Lawrence Tribe or others that were part of the discussion in the Senate. Many of them include nonsense about when Hawaii became a state, as if that was a misunderstanding of their "stupid constituents". We have to make them aware that we are not fools and that we are paying attention to them and their statements and actions. I will be adding contact information for each of these members of Congress and senators to that web page. Then we can give them feedback easily. If you have a response from a member of Congress or a Senator you want to add to the page, feel free to do so since it is a wiki, or send it to me at hound9_9 at yahoo dot com. As I have noted before, several mainstream media outlets reported that even World Net Daily hired a team of forensic document analysts who had reached the conclusion that the Barack Obama birth documents were authentic and that therefore agreed that Obama was born in Hawaii and a "natural born citizen". When I first encountered these claims, I asked World Net Daily about them, several times. I did multiple searches to see if I could find the source of these allegations, but I came up empty-handed. Then Joseph Farah published a column that debunked a lot of these statements, or at least put them in context. However, I still did not have my hands on the original World Net Daily article that they were based on, so it was a bit difficult to evaluate the situation. Now thankfully a reader has provided the World Net Daily article that was the source of these allegations. It is an article written by Drew Zahn, and published in the August 23, 2008 edition of World Net Daily, right after Berg had launched the first lawsuit. *The names of the Forensic Document Experts they hired are not revealed, nor are their qualifications, and no link to their reports are provided. *It is claimed that children cannot lose their citizenship under US law. I am not sure about that; I will leave questions about that issue to the lawyers and the courts to rule on, not a journalist. *Annenberg's "Political Fact Check" organization's website, "factcheck.org" is incorrectly listed as "factchecker.org"
*As Farah notes, the "forgery experts" that World Net Daily relied on never saw the "real document" but only the scans available on the internet. *The Zahn article states that some on the internet purposely altered the images of the scanned documents, but provides no examples or links. This might very well have happened, but I think at this point it can be safely ruled out as an alleged source of problems with the factcheck.org and fightthesmears.com images, and others. These have been checked and rechecked and triple-checked and cross-checked and analyzed repeatedly at this point. Multiple experts are involved and affidavits have been signed in one court case after another. *The statements about Obama travelling to Pakistan on an Indonesian passport might be conjectural, or puffery, or bluff. The Zahn article noted that World Net Daily had not been able to establish their reliability. However, lawyers hold certain things back. It is part of the game. If any of these two dozen cases move into the discovery phase, then a lot more will be revealed. As Berg has stated, when he first filed his lawsuit in August, he fully expected that he would be hit with a defamation suit by the Obama camp and that a certified copy of Obama's long form Hawaiian birth certificate would be made public. Neither of these events occurred. Instead, Obama hired a team of lawyers, from Sandler, Reif and Young, PC (a lawfirm that has repeatedly defended "unindicted co-conspirators", the Council on American-Islamic Relations) to prevent the release of his birth records. And over the months, Obama spent considerable sums of money in one legal maneuver after another to keep his documents from being released. In other words, Berg "called Obama out". That is, Berg "called Obama's bluff". The only way to tell if these discussions on the internet were just a dumb rumor or two about Obama's birth location and eligibility was to call Obama's bluff, which Berg did. When Obama responded the way he did, then suspicions were raised. At that point, this turned from just another silly uncomfirmed rumor into a serious question. Things have now been compounded after another two dozen lawsuits in various legal venues have been launched. In dealing with one complaint after another, Obama, through several teams of lawyers now, has stymied and blocked any and all attempts to probe into his true origins and eligibility. The eligibility question is now far more visible. Several cases have reached the US Supreme Court, or various State Supreme Courts. The media has belatedly started to cover this story. Obama's response to Berg's first legal action changed the minds of many, including me. I ignored this situation at first because it hardly seemed worthy of attention. However, when I observed how Obama treated Berg's requests that he confirm his eligibility, I realized that there was something serious going on here. Where there is smoke, there is fire. As they say in Washington, it is never the crime, it is the coverup. And Obama's efforts to cover something up raised my suspicions. I am sure this is true of many others as well. An informal AOL survey with over 100,000 respondents shows that about 53 percent of those responding feel there are some unresolved questions about Obama's eligibility. In other words, Berg's mission to call Obama's bluff has succeeded, wildly. 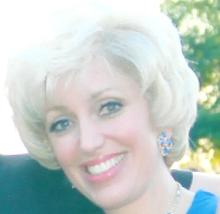 Berg's lonely legal probing in August of 2008 was a tentative inquiry into some rumors. What it has evolved into is a much more substantial and widespread controversy. On January 8th, 2009, you will be meeting in a joint session of Congress in order to perform the final step of COUNTING and CONFIRMING the electoral votes for the President of the United States (POTUS). Constructive Knowledge would inform and confirm to all who have examined the facts of this collossal fraud being perpetrated upon We The People of America (see www.DrOrly.Blogspot.com – ‘Open Letter to C.J. Roberts’) that confirming the electoral votes and thereby furthering the act of installing Mr. Obama as POTUS could possibly be construed as failure to honor one’s oath of office. Therefore, we are calling on you, as a member of Congress, sworn to uphold, protect, and defend that Constitution, to OBJECT to the counting and confirmation of those electoral votes until proof of his eligibility or ineligibility can be determined, and to call for indictments in regard to any and all alleged violations of U.S. laws and one’s sworn oath. Please let us know if you intend to stand with We The People in this epic battle to defend and preserve our Constitution. Our Nation can survive four years of any President. 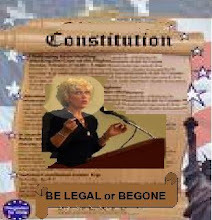 It cannot survive without a Constitution. Note: Do not use this email address if you are not a member of Congress. A reader who calls himself "The Peacemaker" emailed a response to a recent blog post. I will attempt to add some comments in blue. The Peacemaker's comments are in red. I read the recent ‘Open Letter to All US Senators’ that was posted on your blog and find it seriously flawed and inaccurate. I think it’s errors go against what you are trying to accomplish with your lawsuits and will cause your blog readers to wonder what is going on. Below is an excerpt from the letter, where I am having trouble. The red text are my comments. I also posted a comment attached to the article on your blog so other readers will be forewarned. In my opinion, this letter should be removed or rewritten. Peacemaker, this post mainly consisted of Senate Resolution 511. A lot of what you object to in the post was material in the Senate Resolution itself. If you want to argue with the Senate, be my guest. Do not argue with me about mistakes the Senate might or might not have made. The point is, the Senate unanimously adopted this resolution, right or wrong, binding or nonbinding, legal or not, and whether it has the force of law or not. The members of the Senate agreed to this. And according to what the Senate agreed to, just a few months ago, Barack Obama is not a natural born citizen and is therefore ineligible to assume the office of the Presidency. So if the Senate is not going to look completely hypocritical, they have to object to Barack Obama's electoral college votes on January 8, 2008. Also, this open letter is from Dr. Douglas W. Schell of the organization known as "Restore the Constitutional Republic" (formerly Democratic Disaster). It is Schell's handiwork, not mine and not Ory's. Sometimes material from others is posted on this blog. Not all of it is totally in agreement. I do not agree with all that is posted here. This post by you, the "Peacemaker", for example, I do not agree with for the most part. Just because it appears on this blog does not mean I endorse it or agree with it. Frankly this is an irrelevant question and has nothing to do with the Senate Resolution or the Open Letter. If you want to fight with the Senate, go fight with the Senate, not with me. However, if you investigate a bit, you will see that Barry Goldwater and George Romney, for example, were candidates for the Presidency and were born outside the "United States of America". Were they eligible? Should they have been allowed to run? Well, who knows? This is up to the lawyers and the courts. But you are welcome to count how many angels can dance on the head of a pin all you like. Just do not bother me with it. and Whereas John Sidney McCain, III, was born to American citizens on an American military base in the Panama Canal Zone in 1936: (The Panama Canal Zone is not US territory and does not qualify to be considered US soil). Gee I never noticed that the Senate claimed the Panama Canal zone was US territory or US soil. But again, who cares? This is true under some definitions, but so what? This is what the Senate said. If you want to argue with the Senate be my guest. Just do not bother me with it. Yes, so what? Again, argue with the Senate, not me. Again, completely irrelevant. Why bring up these offtopic comments? By the formal, historic and strictly legal definition, that is correct. And that is the definition used in Lightfoot v. Bowen and in the Donofrio and Cort cases. But even under this definition that the Senate agreed to, Obama fails the test of "natural born citizenship". And that is the point. For the Senate to certify his votes, they have to ignore their own previous resolution. The Senate Resolution that was adopted unanimously, with Mr. Obama’s approval, declares that natural born means “born to American citizens.” The plural use of citizens implies that the mother and father are both American citizens. Again, if you want to argue with the Senate, be my guest. If you want to file suit against the Senate, be my guest. If you want to try to bring criminal charges against the Senate, be my guest. But even under the position the Senate agreed upon in this resolution, Obama fails to meet the "natural born citizenship" requirement. And I would not say "Of course Mr. Obama was going to approve the 'Resolution'". My understanding is that Mr. Obama wanted even looser and more general wording that would have covered his own personal situation, but did not get it. This, therefore, disqualifies Mr. Obama. His father was NOT an American. He was born in Kenya , while it was under British rule. Mr. Obama states on his own website that he has dual citizenship. Well "Peacemaker" if you can find a way to magically get the US Supreme Court to rule on any of these Obama Eligibility cases in the next few days, then please do so. Otherwise, we are left with the political option. Which is what this 'open letter' is pursuing. If you want to continue to pursue the legal option yourself, you might find it will take you many millions of dollars and many decades to do so. But feel free to do it if you want. I notice many people are full of advice, but are not willing to do anything whatsoever themselves. But they are quick to criticize others all day long and all night long. I notice we have a lot of visitors from certain websites that specialize in "Obama Apologetics". I visited a couple to get an idea what they focus on. I did include an example, but the person who owns the site objected strenuously. I will remove the content and paraphrase it instead to remove any claims I have appropriated their material without attribution. an individual employed, endorsed, or sponsored by a governmental, private, social, or educational agency or organization who seeks to confirm information about a vital event relating to any such record in preparation of reports or publications by the agency or organization for research or educational purposes. Finally, readers were cautioned that this could not be done through a telephone transaction, but instead some sort of application was required and a five dollar fee. Absolutely amazing, the lies that they are willing to tell to protect their "Messiah". First, any direct quote attributed to Okubo in a newspaper that appears to bolster the claim that Obama was born in Hawaii, particularly when taken out of context or otherwise mischaracterized, they accept verbatim, no questions asked. When Okubo is quoted stating that she cannot confirm or deny that Obama was born in Hawaii, immediately they doubt the quote. Interesting, huh? They only trust quotes from Okubo if they can be possibly construed to imply that Okubo has confirmed that Obama was born in Hawaii. All other reported quotes from Okubo are immediately suspect and must be falsehoods, according to the Obama apologists. Have you called the Hawaiian Health Department and asked about Obama's birthplace? I have. Several others have. And everyone is given the same reply, which is essentially the same as the Okubo quote above. I invite you to try it if you doubt me. Call the Hawaiian Health Department. Ask if they will tell you where Barack Obama was born. Ask anything you like about his official records and see if they will tell you anything or send you anything. Call (808) 586-4533 or send email to vr-info@doh.hawaii.gov. As for verifying anything someone already knows, for 5 dollars, I think you would have a hard time getting official documents from the Hawaiian Health Department confirming the birthplace of Barack Obama, wherever it is (Kenya, Hawaii, or someplace else). After all, hundreds of thousands of dollars have been spent on both sides of this issue in lawyers' fees and court costs and other expenses on just this very question. Many many requests for Obama's birth documents have been made by lawyers, by private citizens, by authors, and by private investigators. All were turned down. Subpoenas from several courts in other states for the records have been sent to the Hawaiian Health Department. All were turned down. If this material was as easy to obtain as the writer claims, people would not have wasted so much time, money and effort to get ahold of the documents. And if there was not something to hide, Barack Obama would not have spent so much time and money and effort trying to prevent anyone else from getting ahold of the documents. You are really so sure you want to take such an indefensible position? It is beyond ludicrous to think that all anyone would have to do is ask for the documents and pay 5 dollars (in person of course; not over the phone). If the writer of this post on the other blog feels it is so easy to get ahold of Obama's officially certified birth records, I challenge him to do it. I can even give him the name of a Private Investigator in Hawaii who will appear in person and pay the five dollars if the writer does not want to fly to Hawaii and do it himself. Do it and shut me up. You will also be famous forever for doing it. Show that those who are behind the two dozen lawsuits are all misguided fools. Demonstrate once and for all that the Obama Eligibility Controversy has been created by conspiracy theorists wearing tin foil hats. Put up or shut up. If you are able to produce an officially signed, certified, notarized document from the Hawaiian Health Department, together with an official signed letter, showing that Obama was born in Hawaii, and providing enough detail that this can be verified independently, then I will gladly concede. I and most others will just walk away, even though Obama might still not be a "natural born citizen" according to the strict historical and legal definition. It was alleged that Alvin Onaka would not suffer any legal jeopardy for alerting someone in authority to the existence of an altered or fake document, since that was one of his assigned tasks as part of his employment. It was alleged that he should not be disquieted or anxious by any possibility of retribution, particularly of a lethal nature, and my post was mocked for being incommensurate with the environment this author experiences in his day-to-day existence. This character seems to believe that all officials glady will report any and all fake documents they come across. If that is true, why are there so many forged and fake documents floating around? I wonder if this author is aware that we have 15-30 million illegal immigrants in the US. They have forged documents; that is how they survive. The 911 hijackers had forged documents as well. Most law enforcement officials encounter them all the time. My car was struck by an illegal alien's car. The police just let her go. No whistle was blown. Nothing was done. From the UK newspaper that broke the story about Obama's aunt that was living illegally in Boston and illegally on public assistance, we find interviews with US Immigration officials in which it is stated that this situation was known and ignored by the relevant authorities. I guess no whistle was blown there, was it? There are lots of reasons fraud is ignored. And please show me where in Onaka's job description it is written that it is his duty to decide who is and who is not natural born, and if the US constitution should be upheld or not. If I was Onaka, I would keep my mouth shut too. As for being afraid of being killed, you obviously have not talked privately to judges and attorneys involved in this matter. Believe me, all are quite aware that pro-Obama forces might very well threaten their lives or more. I guess this author does not live in the same world where Black Panthers guarded Philadelphia polling places on election day with guns and nightsticks, threatening anyone who might vote for McCain. I guess this author does not live in the world where the police said they could not and would not do anything about these Black Panther "guards". I guess this author does not live in the same world as I do, where close Obama associate William Ayers wished he could have "done more" in a New York Times interview (more what? bombings and killings? later he tried to backpeddle, but...). I guess the author does not live in the same world as I do where Missouri Governor Matt Blunt issued a press release about Obama using Missouri law enforcement resources to threaten and intimidate his critics. I guess this author does not live in the same world I do, where Odinga supporters rioted after Obama's cousin Odinga lost the election, slaughtering their rivals (Odinga lost even though Obama had helped to fund the Odinga campaign). And Odinga has been invited to the Obama Inauguration I notice. Is that true in this author's world I wonder? I guess this author does not live in that world. But that is the world that most of the rest of us live in. The real world.